Nestled in the woods of McCloud, this custom built, brand new modern Craftsman is ready for it's first residents. At 1661 square feet, with 3 bedrooms, 2 bathrooms, a large open living, dining and kitchen space, laundry room and an oversized two car garage with plenty of storage, this place has it all! 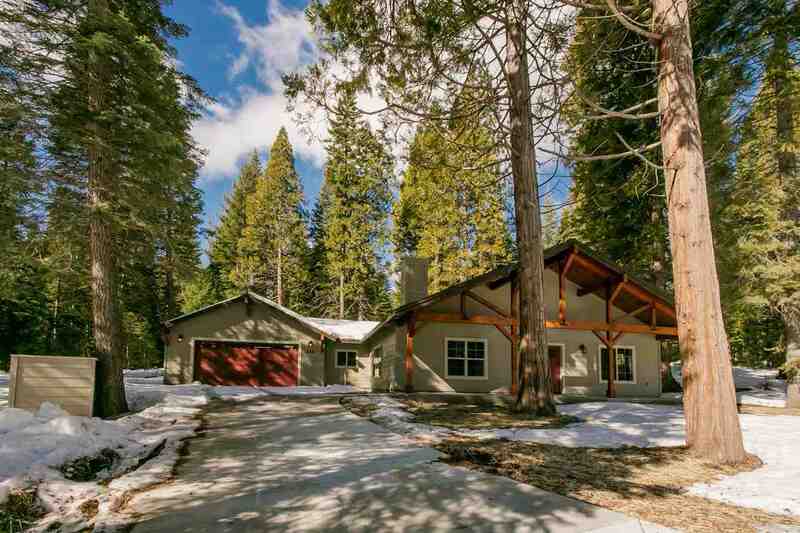 With special touches such as knotty alder trim, a cozy stone hearth and wood stove and all new stainless steel Maytag kitchen appliances, this mountain abode is sure to please. Included in the sale is the adjacent lot, which brings the total acreage to .65 acre. Located in the McCloud Meadows subdivision, just across the highway from Historic Downtown McCloud, this charming house offers the quiet and solitude of the mountains yet is just minutes away from the eateries and shops of McCloud.